…you need to figure it out. Someone said to me recently that they were #1 in search results for some keywords but that they couldn’t see where it translated to real results. A quick check showed that the keywords they ranked for were ones that few, if any, people searched on. So I’m asking you to believe me that being found high in Google search results is only useful if the keywords you rank for have lots of people searching for them. Whether you believe that or not is up to you. Another similar example, one that proves the complexity of online marketing, is believing that the “buyer intent” of certain keywords is critical to your online success. A good example of that would be someone searching for “tires” is probably just looking for information and NOT to actually go buy some. Not yet anyway. That same person later searches for “Michelin tires” has perhaps gathered enough info to decide that the brand of tires they plan to buy is Michelin. Now when the searcher begins searching for Michelin Defender tires, it’s possible that they now believe that this is the exact tire their car needs and they want to start figuring out how much they’ll have to spend to get them. And when she searches on Michelin Defender tires, Tampa FL she’s crossed from researcher to buyer and is now looking for a dealer, probably close to her home to buy those tires from. Now, I’m suggesting that your business is operating on exactly the same principles. But you may not believe that. 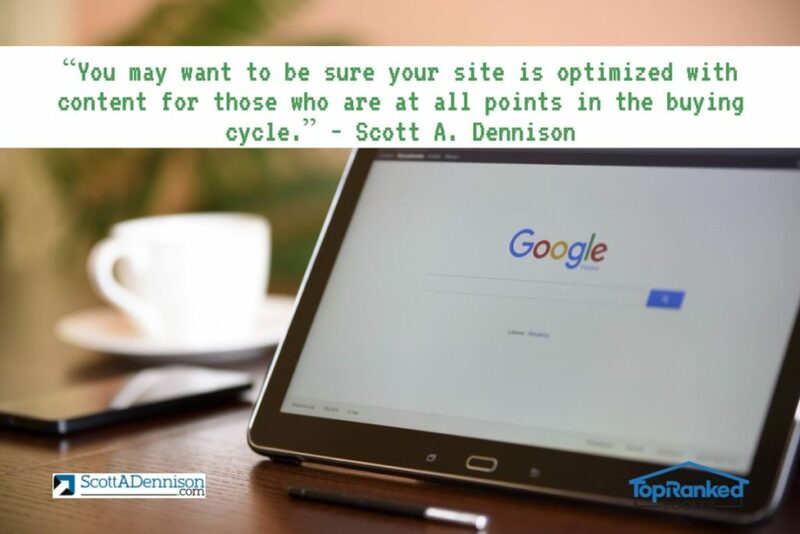 I’m further suggesting that you may want to be sure your site is optimized with content for those who are at all points in the buying cycle, but if you think I’m wrong about this, it won’t get done. A closer look at their terms of service showed that “you don’t pay AGAIN until you get on page one.” Which means that you had a sizable investment to get started in their program. Now, some of these experts will choose to rank you for a keyword no one is searching for. It’s easy to do and often can be done in a week or so. We did it – Now pay up. Will that help you to accomplish your goals? No. Here’s the thing I want you to think about today. 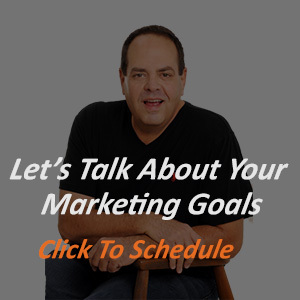 If you want to succeed in online marketing – to get traffic, leads and sales from the Internet, you need to work with people who are focused on getting you REAL results. Who tell you the TRUTH about what needs to occur for it to happen. 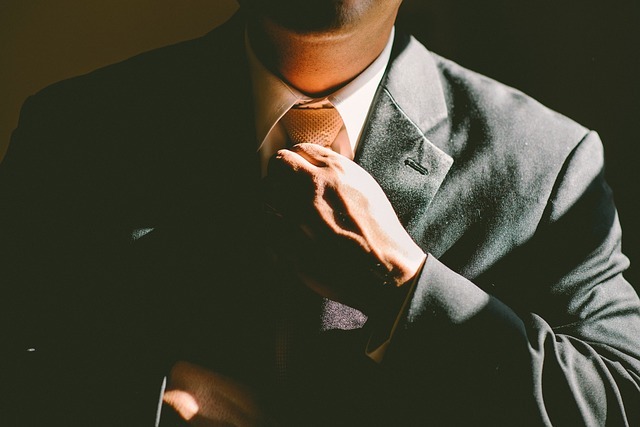 Who are working to get you an ROI on the investment you make in their services. The essential truth of this is that for organic search, you need to be ranked in the top 3 spots. Not #4, not on page one but at the top. The reason for this is that sites ranked #1-3 will get about 70% of all the visitors to click through to their sites. Sites ranked #4-10 get 20% of the visits split up between them. Which group do you want to be in? The number one site has 40% of all those searching for a keyword visit their site. If your site is ranked #1 for the right keywords and is set up to capture those visitors and convert them into prospects – you can win big. Whether or not you believe that, well, that’s up to you. As a final thought, one of my clients has about 90 keywords ranked on page one of Google now – 22 of those are at #1 and a total of 32 of them are in the top 3 spots. If you want real results like his, I can get them for you. But you’ll need to let me know…contact me here and let’s talk. I'm known as an Internet Marketing Expert and Lead Generation Specialist for the roofing industry. 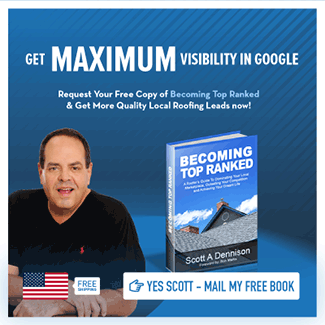 I'm the author of two books; The best-selling “80/20 Internet Lead Generation," as well as Becoming Top Ranked - A Guide For Roofers. I've created several online training courses, and have presented at marketing conferences all over the US. I specialize in helping roofing companies achieve their #1 online goal, to make their phone ring with quality leads – and to achieve their personal life passions.